While trying to diagnose a problem over the phone I told the user to type out his autoexec.bat file. He said it said "File not found". I told him to do a dir. I asked him if he saw autoexec.bat listed. He said, "Well it says autoexec, then there's some spaces, but no dot, and then it says bat." I said type this in "type autoexec.bat". Again he got "File not found". I asked him to tell me exactly what he typed. 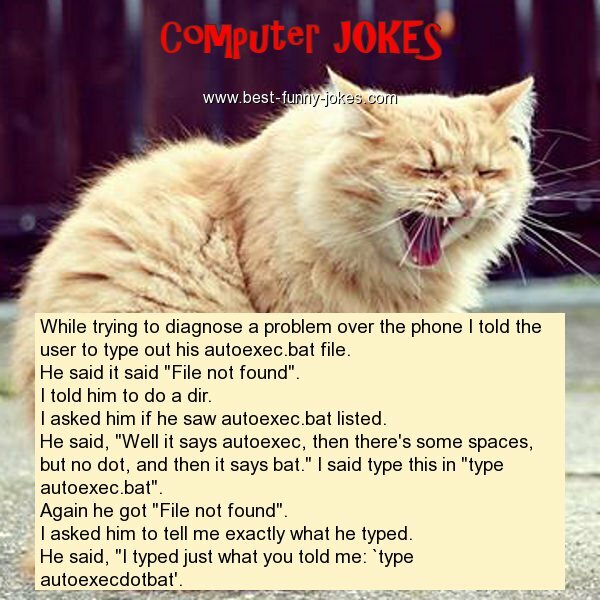 He said, "I typed just what you told me: `type autoexecdotbat'.